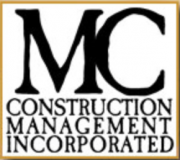 MC Construction Management, Inc. is a nationally recognized commercial general contractor specializing in Retail, Medical, Restaurant, Office, Automotive, Financial, Ground-Up, Remodel, and Tenant Improvement construction. LEED Accredited. You should be a premium user to contact MC CONSTRUCTION MANAGEMENT, INC.